Pathaan is a London based DJ / producer / taste maker / label manager and BBC Radio disc jockey whose Indian/Pakistani roots influence his multi-genre, "Globetronicaâ€ musical sound. His first break came in 1996 when David Bowie heard him play and immediately offered him the support slot on his 'Earthling Tour', a residency at the Blue Note CafÃ©, courtesy of Talvin Singh, followed and ever since Pathaan has been globetrotting both physically and musically, entertaining crowds the world over. 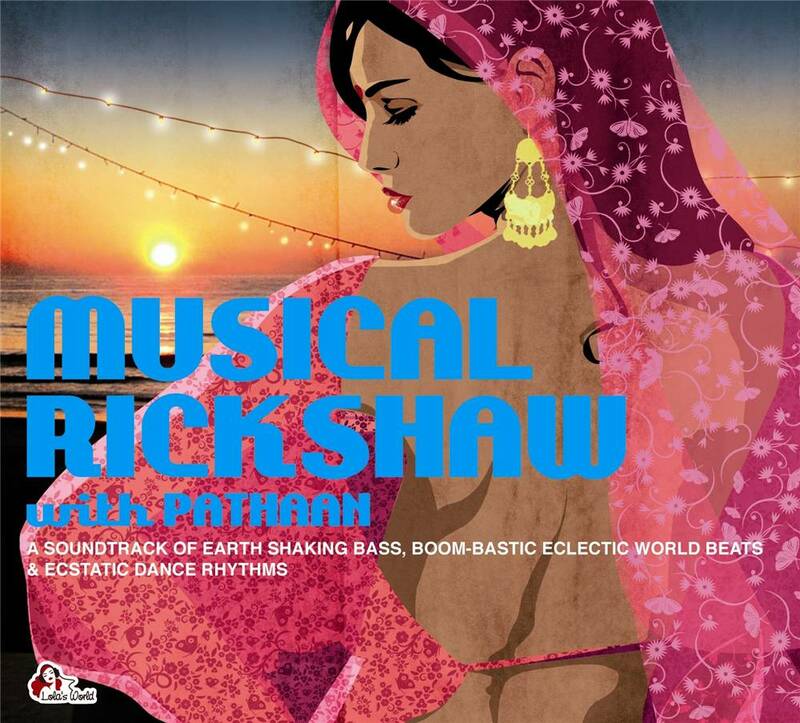 For 'Musical Rickshaw with Pathaan', this specialist has delivered a two CD soundtrack of earth shaking bass, boom-bastic eclectic world beats & ecstatic dance rhythms. It's a true reflection of his BBC radio show and sounds nothing like any of his previous mix compilations, in that it's very much his sound of now ! CD1 has a warm welcoming bass shaking vibe that's profoundly deep. From the first notes, the music touches you and makes you want to listen to the whole album in one go, like a good book that you simply cannot put aside. Ranging from known to unknown artists CD1 features upfront killa cuts from the likes of Warrior One, Riz MC, Detboi, Baaba Maal, Cornershop, OMFO, Dubterror, Midland, True Tiger and more. On CD2 whilst we have more of the same, it's very different to CD1 in sound and style. Featuring Mighty Mouse, Culprit 1,Shir Khan, Om Unit, Ancient Astronauts, Adam Freeland, Klute, Bandish Projekt; the list goes on. But PLEASE don't take our word for it. Judge for yourself and having had a listen, no doubt you'll embrace the upfront musical range and style !!! !